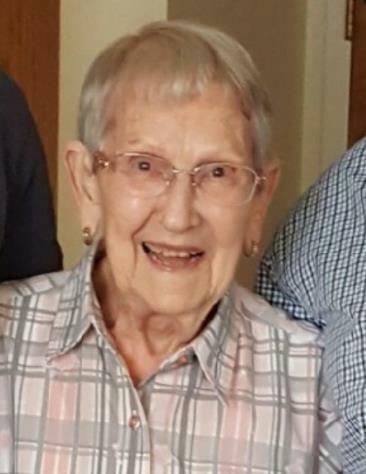 Alice C. Stivers (Bennett), of Tempe, AZ, passed away on Tuesday, February 20th 2018 at the age of 94. Alice was born to parents Nort and Josie Bennett on August 3rd 1923 in Vandlia, IL. She grew up as the youngest of twelve and graduated from Vandalia High School in 1940. She graduated from University of Illinois in 1944. 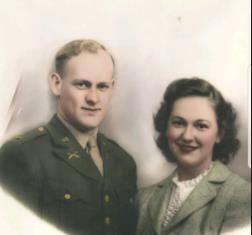 She married her soul mate, Ralph Stivers in 1944. During WWII while Ralph was overseas, Alice took a position as a chemist with American Can Company in Chicago. Upon his return from WWII they returned to Clinton, IL and farmed until he was recalled for service during the Korean War. While Ralph was overseas Alice maintained the farm and raised Doug and Mark. When Ralph returned from Korea they purchased a farm outside Waynesville, IL. Soon after they welcomed daughter Maryl. Alice and Ralph continued to farm for 9 years until 1962. They eventually held positions within the Clinton Community School District. Alice taught at Webster Elementary School for the majority of her teaching career while earning her Master’s degree in education from University of Illinois. Upon retiring in 1982 she and Ralph traveled extensively in their camper, ultimately settling in Arizona. Her passion for teaching and staying active carried on through retirement. She volunteered as a teacher’s aid, sat on several committees at Friendship Village. Alice is survived by her son, Doug (Mary) Stivers Gilbert, AZ; daughter in-law Davida Stivers Clinton, IL; daughter Maryl Stivers (Jim Devine) Mesa, AZ; Grandchildren Sara (Dustin) Derby Bettendorf, IA; C.J. Stivers Warrensburg, IL; Dareth (Dan) Dobbs Arvada, CO; Kelly Stivers (Brian Murray) Chandler, AZ; Colbey Orokos (Samantha Molitor) Mesa, AZ; Four great grand daughters Shannon Derby, Whitney Stivers, Jordan Derby, Makenzie Dobbs. She is preceded in death by her husband Ralph and son Mark. A private family ceremony will be held at a later date. Memorials can be sent to: Friendship Village Foundation 2645 East Southern Avenue Tempe, AZ 85282. We’re so sorry for your loss. She sounds like a wonderful person. Prayers to the family. I have many fond memories of Alice; I always enjoyed her. So sorry for your loss. She was a wonderful neighbor and friend to me and my family. So sorry to give her up from this life. She will be greatly missed by all. I will carry her in my heart forever. Maryl, I am so sorry for you loss….i know you adored your mom and am guessing she had a huge impact on who you are today…your love for both your parents was so obvious whenever you talked about them. Sending prayers for you and your family. We are so sorry to hear of your Mom’s passing. She will be missed by all who knew and loved her. Maryl, My sympathies to you, your dad and all of your family. Mrs. Stivers, as she will always be to me, taught me 5th and 6th grade at Webster, until we moved to LeRoy. I loved her and have wonderful memories of her. I’m sure there will be tears of sadness, but she would want you to mix in some tears of laughter too as friends and family recall moments shared with her. May God bless you all and may you take comfort that you will see her again. When I was growing up in Weldon, Illinois in the 1960’s my parents, Robert and Gertrude Parrish, were friends with Ralph and Alice Stivers from Clinton. Our rural homes were 9 miles apart. Occasionally, usually in the summer, my family with my two brothers and two sisters visited Ralph and Alice and their children Doug, Mark and Maryl. The Stivers were great people and my family enjoyed our picnic get-togethers. In 1969 when I was 14 my parents divorced, we moved into town to a different home and my mother supported my family on a very modest salary. The next year, in 1970, I auditioned and was accepted to tour with an outstanding 125-piece concert band called The School Band Of America comprised of high school and college students which conducted annual performance tours to Europe and the western United States. My mom (who is still living and is 2.5 months older than Alice) had no spare money so I mowed yards to afford the western US tour tuition. The cost was exactly $500 which was a huge amount in 1970 for a teenager to save. For two summers I mowed 15 yards multiple times and was paid $2 and $ 3 per mow. I worked hard and saved the money and succeeded paying the tuition for the 24-day tour which began in late July, 1970 although three days before departure I had only $20 remaining to take for spending money. Approximately one-half of the meals were not paid with the tuition and were to be paid individually by each student. I had decided I would just go without meals that were not paid and did not tell my mom I only had $20 because I knew she had no money to give me and thought she would make me withdraw from the tour. Thankfully, three days before departure three persons whose yards I mowed respectively gave me an extra $5, $5 and $10. This was a lot of money at the time and I was so grateful. Then, two days before departure Alice called me on the phone and said she would like to give me some money and asked if I had time to come to the Stivers home. I went the next day to her home, one day before departure, and she unbelievably gave me the utterly huge amount of $20. I was truly so thankful. Alice now had tripled my amount. The next day I went on the tour and spent conservatively but comfortably did not have to skip any meals and also had extra spending money. I exactly remember I came home after 24 days with $1 in my pocket. The organization was an exceptional concert band no longer now in existance made up of exceptional students and gave many concerts including at Utah State University, Lake Tahoe, on the rim of the Grand Canyon, at the Golden Gate Bridge, Disneyland, Reno, Forest Lawn and our grand finale concert was actually and in fact in the Mormon Tabernacle on the tabernacle stage using the pipe organ in performing “2001: A Space Odyssey”. I was 16 and among challenging repertoire played “The Stars And Stripes Forever” in the Mormon Tabernacle. I tell all this in such detail because it was the absolute best and most learned experience of my high school career, barely at age 16. Alice and Ralph were such educators and fine people, always supporting young people, and I was not even a student in their school district nor did I ever mow their yard. I want to tell Doug and Maryl how much then and all through this time I appreciated Alice and Ralph’s kindness to me. Adjusted for inflation, twenty dollars in 1970 equals $125 in 2018. I will never forget how grateful to Alice and also how shocked I was that day, the day before departure, when finally I knew I was going to have a full and great trip just as much as all the other students and would not have any embarrassment for lack of money in front of 125 other students. Two years later I majored in music at Illinois State and became a high school music teacher for 27 years. Thank you for listening to my long narrative. I was so incredibly blessed. That $20 was so important to me and at such a moment in time truly helped shape my life. I was so sorry to hear of Alice’s passing. Alice and Ralph and the Stivers family– what great teachers and Christians.